Whether hand drawn or computer generated, Dynamic Digital Advertising can create technical illustrations for commercial projects of any type. DDA's experienced illustrators have created detailed, accurate technical illustrations for graphs, charts, specification drawings and instrumentation for a wide variety of industries. Brochures, sell sheets, product prototypes, catalogs, websites and CD-ROMs are just a few of the areas where technical illustrations can be utilized. 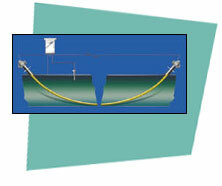 High-detail technical illustrations can demonstrate or explain a process or product. Used in a variety of marketing materials, technical illustrations can serve to provide substantial information to customers looking to purchase your company's products. Product prototyping can benefit greatly from time-efficient technical illustrations that can further serve as the basis for 3D models and animations. Technical illustrations can have great shelf-life as well. As long as the product does not change, the illustration remains valid. Whether your industry is mechanical, medical, pharmaceutical, industrial, transportation or manufacturing, a solid set of technical illustrations can serve your company successfully for the life of the product. Dynamic Digital Advertising's illustrators have the design and production skills to create accurate illustrations for your company's advertising projects. When you need the highest quality, count on DDA for all your marketing and promotional needs.